A world of industry applications. Based on Inuktun's proven Versatrax 100 MicroMag™ and fully IM3 technology-compliant, the new MaggUT™ system integrates standard industrial ultrasonic probes — so you can perform A or B scans on flat and curved surfaces, including storage tanks (to API 653 Standard), pipes and other steel structures. The Versatrax 300™ is the solution to long-range pipe inspection challenges. Able to inspect more than two kilometers of pipe in a single run, the VT300™ includes three onboard video cameras, multiple sensor options, and is operable in pipe as small as 12in / 300mm internal diameter. Versatile and customizable, the Versatrax 300™ can deploy sensors and tooling in even the most remote and unaccommodating environments and locations. All units are configurable for round pipe or flat surface operation, and adjustable for a range of diameters. Whatever your remote testing, assessment or construction needs — from video and sonar, to lasers and multi-sensor inspection — the VT300 delivers, with ultra long-range capability, extra payload capacity and friendly, intuitive control systems. 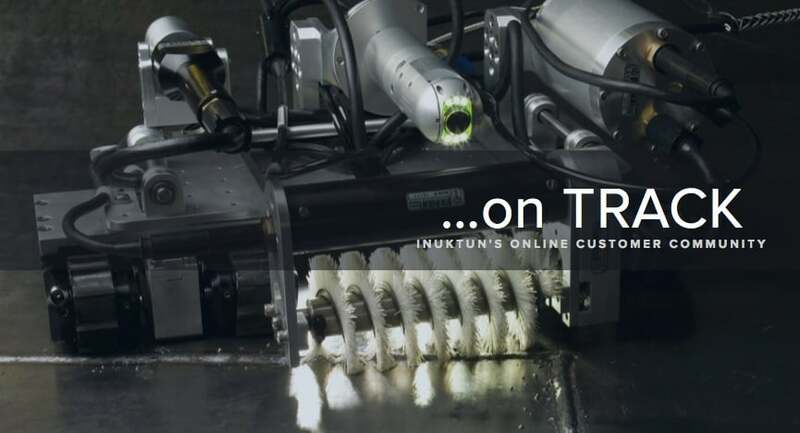 Inuktun's celebrated modular robotics approach makes for rapid configurability of components and attachments, as well as easy integration of options, such as EMATs (Electromagnetic Acoustic Transducers), lasers and chemical sensors. A unique and innovative crawler design means the Versatrax 300™ travels through bends and offset joints where pigs get stuck. The Versatrax 150 is a modular, long range (1,500ft / 450m) internal pipe inspection system capable of operation within a variety of pipe sizes. The in-line chassis system is designed for operation in pipe with a minimum internal diameter of 6in / 150mm up to 12in / 300mm. Combining the power of three Microtracs™ and an expandable tripod chassis, the unique Versatrax Vertical Crawler™ can perform difficult inspections over a range of pipe sizes in virtually any orientation. Constructed out of marine grade aluminum and stainless steel, it is extremely durable and fully submersible for underwater applications. 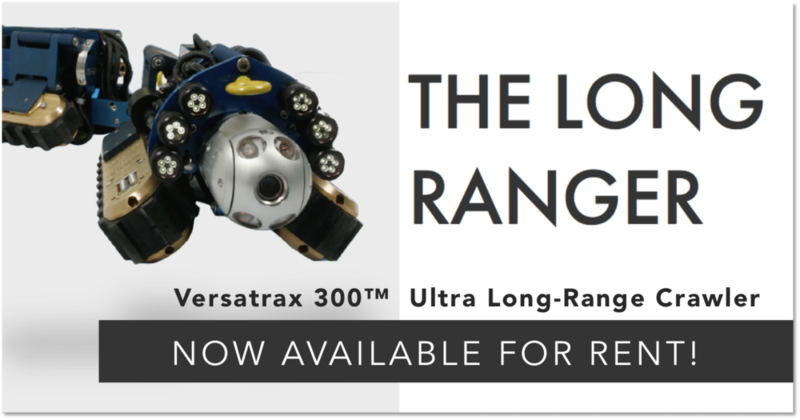 The Manipulator is a compact, powerful and flexible deep-sea gripper with an array of interchangeable jaw sets. With a pressure-compensated housing, anodized aluminum and 316 stainless steel parts, it is capable of high closing forces and provides an additional infinite rotation feature to align the jaws to the work piece. The Spectrum 120HD pan, tilt and zoom camera provides crystal clear video in air or underwater. It packs a High Definition (HD), 2MP imager (1080i resolution) with 120x zoom in a robust package only 4.75in / 120mm diameter. The standard camera includes marine-grade aluminum parts and built-in, high intensity LED lights. Eddyfi Technologies has acquired NDT robotics leader, Inuktun. Read the official press release here. Welcome to InCommand Robotics, the home-grown American subsidiary of Inuktun Services Ltd.
InCommand provides demonstration, rental, problem-solving and repair services to customers throughout America — including rapid access to Inuktun's industry-leading range of multi-mission modular robotic technologies for tank, pipe and infrastructure inspections. We’ve moved! The InCommand team has relocated to Eddyfi Technologies’ location in Deer Park, Texas, USA. Director of US Field Sales Operations Wes Kirkland leads a highly qualified team of Inuktun trained and certified personnel versed in all our products and industries. Inuktun’s Multi-Mission Modular (IM3™) technology allows for rapid reconfiguration of our remote systems in order to meet your precise project demands.